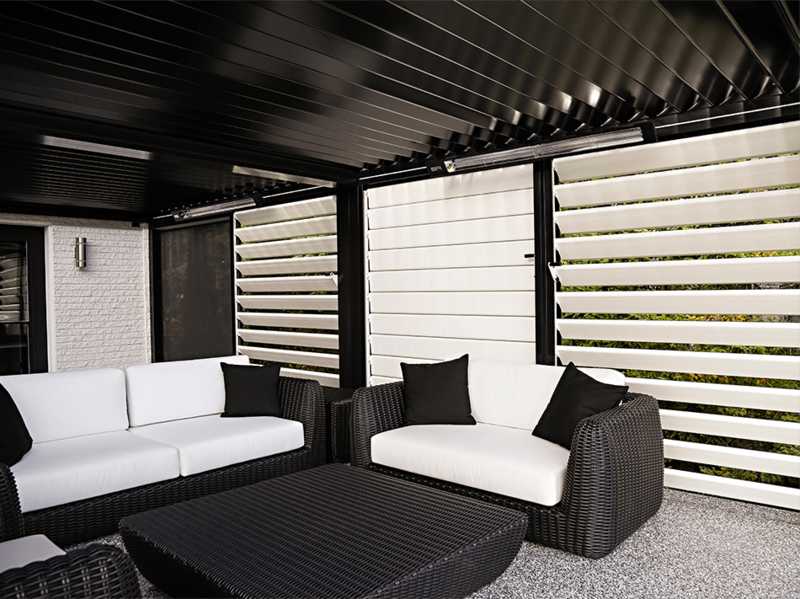 CLAUSTRA Privacy Shutters are designed for integration into the lateral openings of the Horizon 2 Bioclimatic Pergola, or of any other covered outdoor space opening. This ensures privacy from prying eyes while protecting you from inclement weather or the hot rays of the sun. CLAUSTRA shutters are made from aluminium, manually adjustable and easy to clean. CLAUSTRA shutters are offered in custom sizes, according to your project and specific requirements. They are made from extruded aluminium profiles and cast aluminium parts. This process provides exceptional durability and unparalleled longevity to our product. You can easily modify the angle of CLAUSTRA privacy shutters with a simple handle. There’s always classic white, but you can also choose from over twenty colours to personalize your decor. 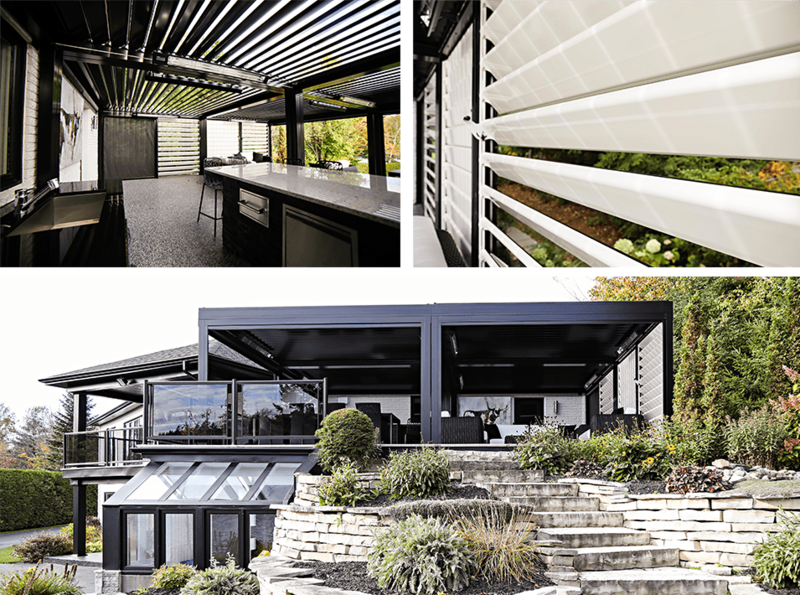 Canevabec’s professional installation experts will provide a top quality installation that will be performed quickly and with a minimum of disruption so that you can fully enjoy your new outdoor space.